The progress bar was already at about 90% when it was scanning C:, but afterwards it started scanning D: and the bar went back to 60% or so... I have only 9 GB left on C:, could that have something to do with it? As for any other indications of being infected, nothing's acting weird so far. Anyway, when I stopped the scan, it already detected some stufs, so here's the log. Only 9 gb on C. What is the size of the C drive? The log shows that you only have 9Gb of free space on your C drive. 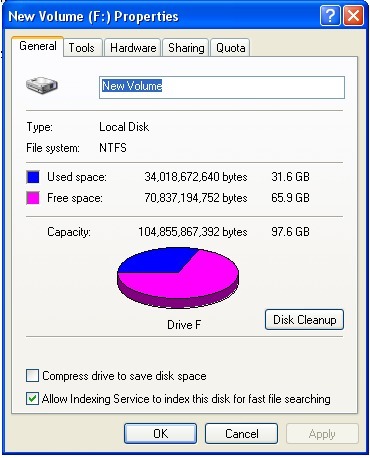 Windows requires at least 15% (15 Gb) of free space to operate. You will need to free up some space. You can do this by removing/uninstalling no longer used or unwanted programs. You can also transfer important documents, photos, music and videos to an external harddrive or DVD's. Please let me know when you get this completed. Hello. I managed to clear up some stuffs, so now I have 15,7 GB space available. So what am I supposed to do next? Thank you. If you not having any problems with your computer we are done. Hello, sorry for replying after a while. I've ran the disc cleanup, but the link for DelFix isn't working? You're correct. They must have shut down the site. You may remove/uninstall all the programs we have used. It's your choice. Just removed them, so I take it my computer is clean and safe now? If yes, thank you very much for all your help! And sorry if I always give slow replies! Yes, as near as I can remotely tell the computer is clean.